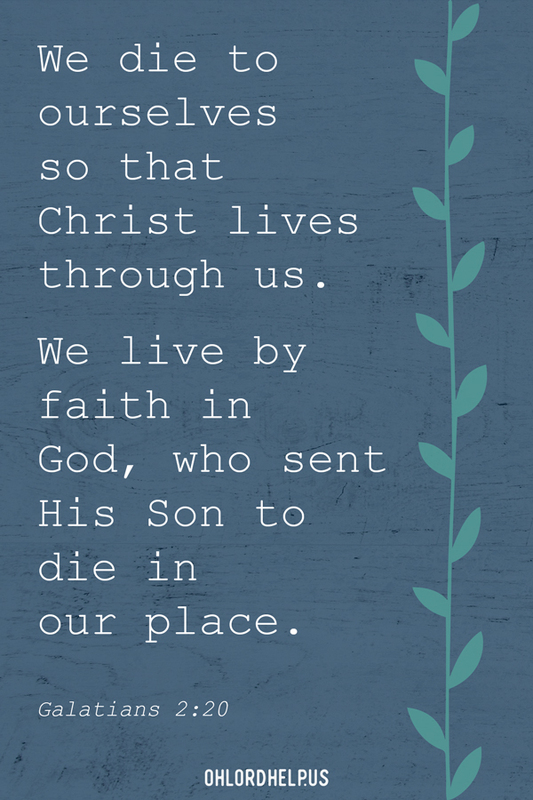 Having big faith doesn’t always mean our circumstances change. We can have assurance in the promises of the Lord, even we do not see His plans. Over time the phrase almost became offensive. Like the squealing of dull brakes. You knew it was coming, but the way each word came grinding upon your heart –every. single. time.– seemed as if you had been caught off guard. It was a kind sentiment: faith changes things. Indeed, it does. But, what happens when my faith is strong and my prayers are bold, but my painful circumstance remains unchanged? What happens when my belief is BIG, but it never comes to fruition? I never really thought much about the topic, until it began colliding with my life. For me, this pertained to my baby. I had watched her suffer unimaginable pain, seizure after seizure. I had watched her endure testing, blood draws, and EEGS. I had watched the way in which her little body was wrecked each time a seizure took its course. I had watched her countless times being rushed into an ambulance. I had watched as the life flight helicopter took off with my little person in tow. I had watched her stop breathing, the way in which the physicians grew panicked, though they tried their best not to. I had watched as a machine kept her alive. And, I had watched her little face for hours while seizures overtook her body. All the while I begged God to make it stop. When this all started, I would have uttered the same words… faith, just have faith. And I did have faith, in fact, I still do. After my child’s first seizure, I believed God would take this away from her. FAITH. And after her doctors listed the horrendous potential diagnosis, I believed God would not allow it. FAITH. And every moment of each seizure, I believed that at any time my God could make it stop. FAITH. I tend to disagree. My concept of faith has changed. Through this journey, I have learned that true faith is having faith in the waiting. True faith is having faith when the circumstance remains unchanged. True faith is remaining sure that He can, even when He does not. And, somehow making peace with that. Yes, true faith DOES change things, though perhaps the circumstance is not what’s changing. True faith changes my once shallow perception. It’s somehow being OK with God when He doesn’t fix all my problems in this life. Though I may never understand why He doesn’t, I hold tight to His promise that one day it will ALL be better. Today, maybe your circumstance hasn’t changed, despite your desperate pleas. 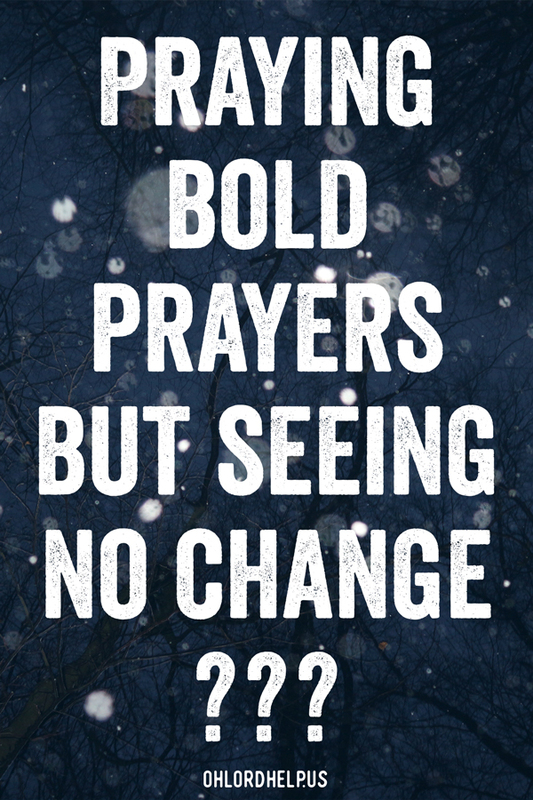 Perhaps your relationship hasn’t changed despite your faithful prayers. Or the healing hasn’t come despite your unwavering belief. My friend, you are one with true faith. Cling to it all the more tightly, trusting that He has made a way, though we do not yet see it. Have you ever experienced a time when God did not change your circumstance? Although the circumstance was unchanged, what positive changes came from that? 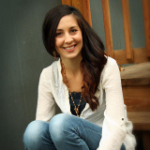 Sarah Lango is a momma of 3, wife, writer, speaker, Jesus follower, and coffee lover from small-town Missouri. She is the founder of Gracefilled Growth, where she writes about her faith, marriage, motherhood journey, and her new experience of being a “sick kids” mom. Her passion is to inspire others to live authentic lives, learning together, and embracing the grace that God so lovingly offers. You can read more of Sarah’s writing at www.gracefilledgrowth.com or follow her on Facebook and Pinterest. Dying to self is a lesson I am in the midst of myself. Your words are a blessing and an encouragement to me today.